Shimmer and Shine are twin genie sisters who grant their friend Leah three wishes each day, even if they do mess up sometimes. I guess that's why they say be careful what you wish for. Shimmer and Shine are twin genie sisters who grant their friend Leah three wishes each day, even if they do mess up sometimes. I guess that's why they say be careful what you wish for. 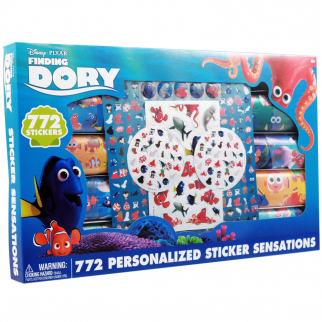 These girls are beloved by children and what better way to celebrate this than by playing with this bowling pin set. It is a great party pleaser and gets kids excited about playing outside. 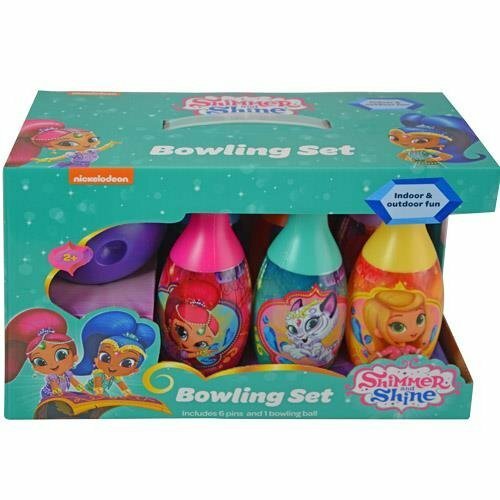 The Shimmer and Shine Bowling Set includes 6 pins and 1 bowling ball. It's great for indoor AND outdoor fun. The bowling pins and ball aren't weighted so it'll be safe for your little one. 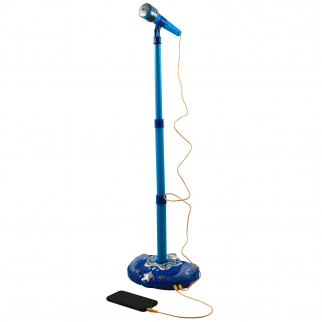 This a great Christmas, Holiday or Birthday present to give your children.